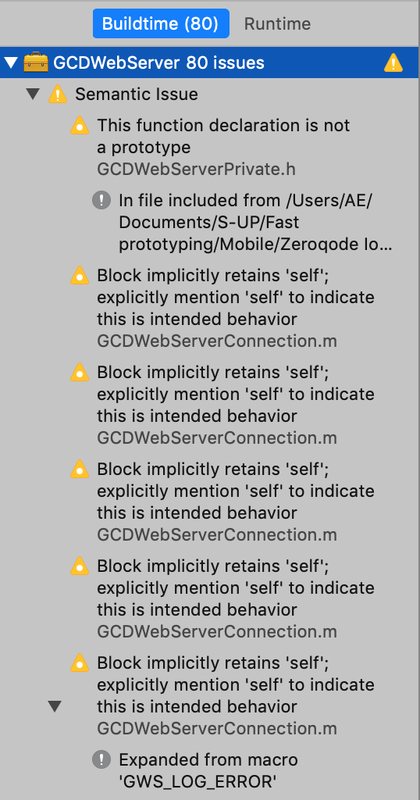 Looks like Apple is scanning the code for IDFA libraries. Facebook and AdMob are using this, and our app is depending on those. To solve this you can just select both the 2nd and 3rd option for the IDFA acknowledgments, and the app will get approved. Hello @brommko sounds good. Thanks for following up. I already submitted the app, and although I ended up selecting yes, not sure which of the checkboxes I ended up selecting . Will know soon and follow up. Sure enough, I did not check the appropriate checkboxes so my app got rejected. No biggie, I have submitted it again and this time made sure that I checked the right checkboxes. I would strongly recommend that you add a mention of this to the doc so others don’t have to hassle with this. In my experience with webviews, when they load, they take a few seconds to access the url & display it on the “native” app. Does your solution have any sort of native “Loading” screen to accomodate for that lag time, or is it just blank white during the load of the url? We have a native loader for that. Hi, first of all, thank you for what you are doing with Levon! I have recently bought your solution for native apps. 23 days back you posted the instructions about how to implement push notifications in the app. I successfully completed all the steps. 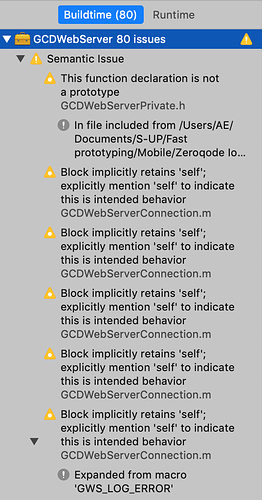 Unfortunately, I got errors at the last step of implementation of one-signal, when I tried to test my app on real device. I have documented the errors with some images that I attach. Could you help me? Warning are just warnings, don’t worry about that. Is this error only on a real device, do you have the same on Simulator? If this is only on an iPhone, you need to sign the app first. In Xcode, preferences, you need to add your Apple ID account. Hi. Thanks for a quick answer! The problem is solved. is that add cost $25 per app, means your developer will do the config and the app ready for use or we just get more intensive guidance? Anyway, I getting interested with your Native Apps solution and consider to get that additional service. Since I have no idea with coding, I need to publish my app on AppStore (iOS & Android) soon and not confidence to do it self. Do you also provide services for help publishing and submit my app to those AppStore and getting approved? I understand about extra charged / add cost for this services. Really hope you could help. it’s ok if you couldn’t support for that one. Then, how do I pay for $25 add cost after buy your package? Your app did not include sufficient content in the binary for the app to function at launch, and we were required to download or unpack additional resources before we could use it." They showed screenshots of our launch screen with just a loading / waiting icon. Has anyone else experienced this recently and resolved it? Our Android app is live and working. Can you send me the project on [email protected] and I will see what can be done? Hey everyone finished building my app, paid zeroqode for ios source code converter. Now i just need to know the next steps to get what ive created on bubble into xcode. If anyone can make a list of next steps it would be deeply appreciated. Did you download the project? You can find the documentation in it. All you need to do for now is to put your site URL in the config file as shown in the tutorial and run the project on the simulator. When you set up everything, you can start with deploying the app on iTunes Connect. You can find that also in the documentation. Hi @brommko and @levon, i took a course from codeless academy for how to create a mobile app with bubble. i managed to generate an apk file after completing the tutorial but found out it doesn’t take the location nor permit the user to upload profile pictures. Besides, login with facebook doesn’t work. I have made a tinder like app with some added functionality. My question is that would i be able to add these features in the android app after purchasing the native solution from zeroqode?